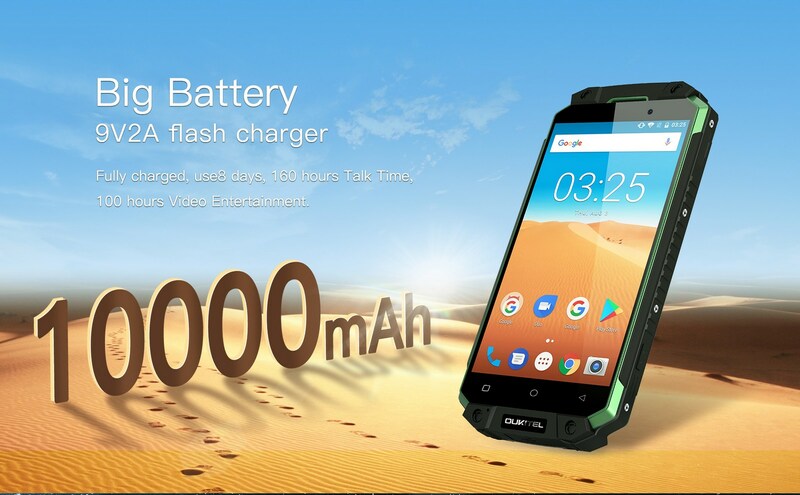 In last weeks, OUKITEL K10000 MAX has pass through the torture by water, slurry, lime water, heat and cement water, as a water-proof smartphone, it is normal that it can bear water soaking. Now challenge upgrades. Water-based paint, its density is lower than water, this means it will be easier for the paint to permeate into other things. Will this kind of water-based paint dive into the smartphone to damage the device? Check the video below. K10000 MAX is soaked by two kinds of water-based paint, after 30 minutes, K10000 Max still works normally. K10000 MAX features a 5.5 inch FHD corning gorilla glass display with 1920×1080 resolution. It gets super large 10000mAh battery for several day’s use. It is powered by MT6753 octa-core chipset, together with 3GB RAM and 32GB ROM to offer smooth and fluent handling experience. In outside field, we always have the eager to shoot the beautiful scenes when we are traveling, thus K10000 MAX is equipped with samsung 16MP sensor for the rear camera and 8MP sensor for front facing camera. Now K10000 MAX continues to accept subscription on official website, with original price of #249.99, all subscribers will get $50 coupon code, while specified subscribers like No. 50, 100, 150, 200,…950,1000… and the like will get the chance to buy K10000 MAX at half price. OUKITEL plans to bring K10000 MAX by early of September, if you are interested, don’s hesitate to subscribe.